Cranberry Tea Time: Welcome SITS Friends! I received some exciting news last night. I learned that I would be the featured blogger today at The Secret is in the Sauce. Welcome to all of my fellow SITS girls who are coming over to visit me today! This is also my 100th blog post, and I'm glad that you all can be here to celebrate with me. For those of you who don't know, SITS is a blog dedicated to helping bloggers connect with other bloggers. We're a group of people who like to visit blogs and leave comments because we know how important comments are to fellow bloggers! We support each other with lots of comment love. For those of you who are coming to One Day at a Time for the first time, let me introduce myself. I am Rachel, a stay-at-home wife and mom. I am the wife of Will, and we are the proud parents of William, 4 years old, and Adelaide, 2 months old. I have dysautonomia, which makes daily life a challenge for me. Despite the difficulties I face, though, I am very blessed. God has given me a wonderful family and blessings beyond what I deserve. I started blogging just over a year ago when I first declared correspondence bankruptcy. Blogging has been an easy way for me to keep in touch with family and friends, and a fun way to make new friends. I blog about my family, my health, life with a disability, and my faith in Jesus. Every once in a while a decorating post slips in too just because I like all things pretty and crafty. Here are three of my favorite posts that will give you a glimpse into life with my family, my health, and my faith in the midst of it all. And as I said, decorating stuff slips in sometimes too. :) Here's a chair that recently had a makeover. Thank you for coming by to visit me! Happy SITS Day Rachel! I feel honored to call you one of my cherished bloggy friends! Happy SITS Day! I love your site...just getting familiar with it...will also check out Cranberry Tea Time to learn more about your disability. Glad to get to know you! Happy SITS day! What a cute and FUN blog! Love the "Borrow a donut"...so cute! I'd love you to visit me! Lots of Valentine activities happening! Happy SiTS Day!!! what a wonderful blog you have here!! Congrats on your special SITS Day! Your story is amazing. Thank you for sharing! Congrats on your SITS Day! I hope you enjoy it to the fullest. I look forward to reading some of your posts! I hope you have a very wonderful SITS day Rachel! I love your blog header and button! SO cute! Congrats on your 100th post. And being featured on SITS... way awesome! I am so excited to see you're today's FB and how fun that it landed on your 100th post!! SO FUN!!!! I hope you enjoy your special SITS day!! I just checked out Cranberry Tea Time...very interesting. I've never heard of your condition before...wow. Sounds pretty tough lady. Also sounds like you have some amazing blessings in your life too! I admire your strength and positive attitude...oh and that cranberry tea recipes sounds so yummy and comforting! Thanks for inviting me to your world...I will be back! First off, congrats on your 100th POST! Yay! I just passed my 100 very recently. How rewarding. I know yours is even more of an accomplishment with your disability. Great job! Happy SITS day! Have a great SITs day and congrats on your 100th post! Happy SITS day! Very cute blog design. Enjoy your day! Rachel, I know you've probably heard this before but just from this post alone you rock as an inspiration. Looking forward to reading your featured posts. Congrats on your SITS day, by the way! Congratulations on your SITS day! You are such an inspiration...thank you for sharing your life with all of us. Happy 100th post as well!! Happy SITS day Rachel! Let me just start off by saying what a great storey! So heartfelt and true. I believe this is your testimony! I love your blog makeover by the way. Hello Rachel and congratulations on your SITS day. Looking forward to having a look around your blog. Happy SITS day!! You have a beautiful family! HAPPY SITS DAY! Your family is absolutely precious and I enjoyed all of your featured posts. My Sneaky Son will stick with me for a while. Borrow it indeed :) Sly boy! Happy SITS day! I hope it's wonderful. You have a beautiful family. Happy SITS Day to you! I hope you have a wonderful day! Happy SITS day and 100th post, yippee!! Happy SITS day to you! This is my first visit here, and you have a sweet blog. Love it! Happy SITS Day! You have a beautiful site! Congratulations on your SITS day. you really are an inspiration. I wish you all the best. I'm off to read your posts now. Happy SITS Day! I love your blog and you totally deserve today! I was excited to see you are today's featured blogger. Hi, I found your through 'the secret is in the sauce', and I love your positive outlook on life. I'll be sure to visit again. Enjoy your day SITs friend, I hope is a good one with many comments. Thank you for sharing your life with us. It makes me so thankful for the health I do have. Happy SITS Day! You have an absolutely beautiful family. I'm off to check out some of your other posts! What a day! 100 posts, and a SITS day! Enjoy it. And thanks for giving me the heads up on dysautonomia. I think you're fabulous! Congrats on your SITS day!!! You have a super cute family! Im a new follwer. I think you site is great! Happy SITS day!! oh what a beautiful family you have. Its so wonderful that you've opened your life up to others showing such positivity despite life's hurdles. Respect to you all and thank you so much. Happy SITS day! Really enjoying reading some of your blog posts. I like your candid writing style. Thank YOU for INPIRING us and educating us on dysautonomia. I really enjoy your writing and look forawrd to more! I will be following you! Congrats on your 100th post and happy SITS day! You family is so cute. Happy SITS day... the sun is shining the birds are singing.. nah, not really...in fact it is snowing again. Enjoy your day... roll in it, relish it... Ha ha ha no chocolate threshold... that is great! good morning & happy SITS day to you! I am now a follower and have added you to my blogroll. You are amazing! I'm also going to share about your illness in my Friday, Things I Learned This Week post at www.zemeks.blogspot.com. Congrats on your SITS day! Glad I found you! Happy SITS day my fellow Sister in Christ!! Congrats on your SITS Day! I think it is great how you face your disability head on and frankly. Wooohoooo! SITS day! Hurray for you! PRAIRIE WIND SPRINGERS??? OMG cute! cute! cute!!!!! Happy SITS Day!! You are going to love all the bloggy love comin' your way! rachel - it's so great to find your blog via sits and get to know you a bit! i'm glad you declared correspondence bankruptcy and chose to blog, as now i can follow along! many blessings to you! God is good! Enjoy your day in the spotlight! You have a beautiful fam! Enjoy your day!!! You sound amazing--off to read more! Congrats on your SITS day! Looking forward to checking out some of your other posts! So happy for your SITS day! I have never visited your blog, so I look forward to reading more! Happy SITS day to you, I hope you have a great time! Hi Rachel! Congratulations on your SITS feature - you lucky girl. See, this is what's so good about SITS. I have a 17 year old daughter who has CFS and Neurally Mediated Hypotension! I also have a blog about the whole shebang. Look on my profile. It's called Living Chronically. I'd like to add you to my blogroll. I'm also now a follower. Isn't blogging great? Happy SITS day! I am off to explore. Happy SITS Day!! You have an adorable family & blog :D Thank you for sharing both! Nice to "meet" you, Rachel, and happy SITS day! Happy SITS Day!Love your blog button & off to read more! You are just delightful! Can't wait to look around! Congrats to you on your SITS day! Today you are a rockstar! Happy SITS Day!! You deserve it. What an amazing and inspiring blog. Where to start? Well, congrats on your SITS day, your 100th post, and your new daughter! Hope you Enjoy your day, your family is adorable.. Happy SITS Day! What an adorable family! Look forward to blogging with you! Wow - so you find out the night before??? That's exciting! Good to "meet" you! What a beautiful blog. Enjoy your big day. So glad I dropped by. Your blog is very inspirational. Happy SITS day, you deserve it! Happy SITS day AND Happy 100th post! How exciting! Congrats on your feature! I understand your faith, while I'm not disabled, I am certain the only thing that has kept me going all these years is my knowledge that God knows what he's doing. Thanks so much for sharing your life, family, and faith! Oh, and by the way...can I borrow that donut? LOL That was too cute! so nice to meet you. have a great fb day at SITS!!! you have a gorgeous fam here...so blessed! have a great day! Happy SITS day! Nice to meet you. Came from SITS to say congrats. And congrats on your 100th post too. happy SITS day! I LOVE the idea of correspondence bankruptcy - AWESOME! happy sits day and congrats on post #100!!! nice chair redo too! Happy SITS day! What a wonderful blog you have! I am so happy you being featured today because that way I found your blog! I will be following you... not just "to follow" and never stop by again.... you will see me here often! I am looking forward to getting to know you better... but for what I see now we might be able to become good friends.... I love the Lord too and coffee... well... You'll see how much I like it! You have a beautiful family!!! Happy SITS Day!! I look forward to browsing around! Cheers to your 100th post as well! Happy SITS day! I too suffer with an invisible chronic illness and I so encouraged by reading your blog! Your strength & faith are so inspiring! I have a chronic illness blog if you would like to check it out at http://www.anewkindofnormal.com! Congratulations on being FB! Enjoy the attention, you are going to be VERY busy. Nice blog and a true inspirational story. Thanks for sharing and educating us. You have an amazing attitude. You are an amazing individual...Happy SITS Day! Good morning. How nice today is your SITS day. I'm feeling so many emotions reading your blog. Thank you for showing your feet. I'm looking forward to 'getting to know you' better! happy SITS day!!! your family is beautiful!!!! I love when the FB links to a variety of different kinds of posts. I really liked your choices! Thanks for the glimpse into your life! Happy SITS Day! Happy SITS day! I love how positive you are even with everything that is going on in your body and that you still give praises to the Lord! Happy SITS day Rachel. I've had a blast snooping around your blog, what a beautiful family you have. Your spirit is infectious and I admire it so much! Happy SITS day! I am loving reading your blog. Happy SITS day. 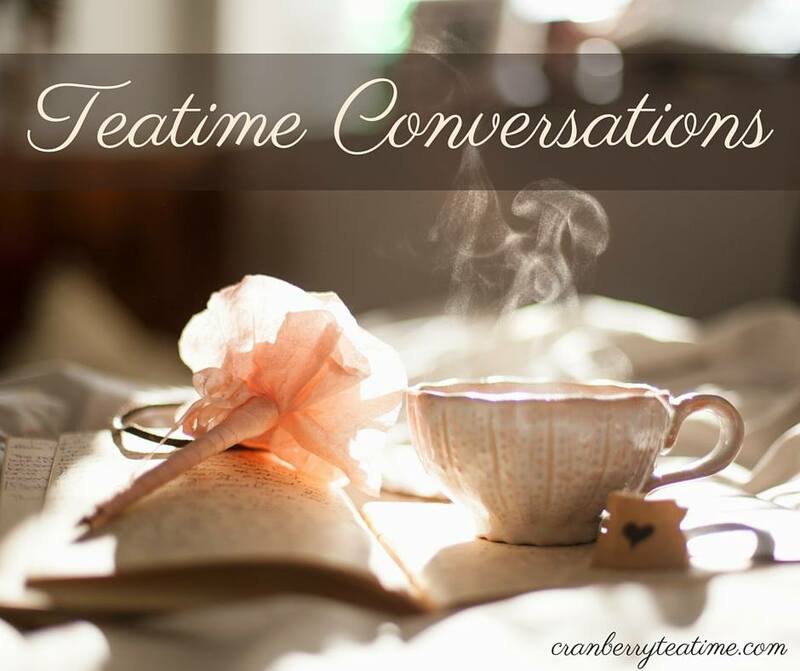 I've spend time on your Cranberry Tea Time blog learning about your disability. It is overwhelming and I find myself feeling so terribly bad for you...yet, your faith is so strong and your attitude is great. I love that you have found contentment in the midst of it all. You are an inspiration! My blog is called theGoodlife referencing the Good God can make out of bad in our lives and Rom. 8:28. I'd love to have you stop by, as you encompass all of that. I just blog about whatever...but that is the underlying theme. Happy SITS day! You are one strong woman and an inspiration to all. Happy SITS Day! This is my first time on your blog, and I'm glad I'm here--your family is beautiful and you are an inspiration. Happy SITS Day!!! Love those mischievous eyes on your son! Now I'll check out the other posts you recommended! Happy Feature Day!!! Great job the redone chair, I love Toile :) Have a wonderful day full of lots of comment lovin! Happy SITS day. I'm glad to meet you. I'd never heard of dysautonomia before. I'm off to learn more about it. You seem like a very strong woman. Hello and happy SITS day to you! I love your header! I love that you express your faith, I just don't see that enough these days and I love to do it too. Give glory where it's deserved. You have a precious family. Oh, and I'm hear from SITS. Take care! Love your blog. I've been here before. Happy 100th Blog Post! And, a very Happy SITS day to you!! You have such a beautiful family and what an inspiration you are! Thank you for sharing your story! I hope you and your beautiful family have a very blessed week! Hey FB, what a great blog you have here. I love your blog, your kids are so cute (and creative when trying to steal donuts). Have a great SITS day! Happy Sits Day to you! Whoot! What a wonderful blog! We will be checking back often. Happy SITS day! I am looking forward to reading more of your posts! Congrats on your SITS Day! Nice to meet you. Happy SITS day Rachel! What a sweet family you have! i love your positive attitude, too. I'm enjoying reading some of your older posts. I'll be back later today to read more! Happy SITS day! You have such a cute family! Your faith in the Lord is inspiring. Thank you for sharing your story with us. Your family is beautiful!! Congrats on your SITS day! Love your button and blog name! Enjoy your day, I'm off to explore your site! Congrats on 100 entries and your special SITS Day! Also, I checked out the chair makeover post. It looks great. I wish I could do stuff like that. Congrats on being the FB today. Thanks for sharing your life and family with everyone. I hope you'll stay strong in spirit and keep portratying that through your blog. Thank you for sharing your story of courage! So glad I found your blog ... I love your attitude and spirit. My son has cystic fibrosis so I understand, to some degree, the challenges of coping with a chronic illness. You are an inspiration. So glad you got your day in the sun today! Visiting from SITS. Enjoy your SITS day and congratulations on coming through all your trials with your faith even stronger than before. Wishing you continued happiness, health and strength. Happy SITS day Rachel! What a strong testimony you have. Thank you so much for sharing. I was so excited when I saw you were the FB today!! Congrats on your day! Happy SITS Day! Your blog is so cute - I would love for you to visit me too! I also have NO chocolate threshold whatsoever, and I am not ashamed to say it!!! Happy SITS day!! Hope you have a great week. Congrats! Are you familiar with the other blogger with dysautonomia? I think it's called Too Many Heartbeats. Anyway, you might want to chat with her if you haven't already. Congrats on your SITS day! what a fun blog! It's nice to meet you via SITS and I wish you all the strength you need to keep up with daily life-- you are an inspiration! Happy SITS Day! You are amazing and inspiring. I am now a follower and look forward to reading more. Happy SITS day and congrats on the 100th post! Wow! Rachel. . .wow! Is it possible I'm friends with someone who has 156 posts on one blog post?!!?!!? May God be glorified!! Happy Happy SITS Day!!! :) off to read your other posts! Congrats on your 100th post and SITS day. I look forward to following your blog. Happy SITS day and congrats! I look forward to checking out your site......you seem like a great person! Looking forward to getting to know you! Congrats on being the FB today! Your blog is too cute and a girl after my own chocolate filled heart! Yay! lol Enjoy your day in the spotlight! Happy SITS day! What an inspirational blog! Congrats on your big day! Enjoy. Happy SITS Day! Love your blog design! Dear Rachel, congratulations on you FB Day at SITS. I wish you the joy, health, and peace of mind. I truly admire your tenacity. Many hugs. Hello! so nice to meet you! Your DIY chair looks great! I love a DIY project! I like crafty, pretty things, too! I enjoyed the visit. Come see me sometime, too! Happy SITS day! Thank you for sharing your story with others ~ and with such a cute blog no less! Your children are absolutely adorable. Happy SITS day! Glad to see you have such a great perspective - God is so gracious! Happy SITS day!!! Enjoy all the love today! I just have to say, I LOVE your sneaky son! My kind of kid, trying to figure out how to get that donut. He is so darn cute to boot. I hope that as you take each day at a time you have more good days than bad. I've enjoyed visiting your site. Happy sits day! It has been fun meeting you and seeing your beautiful family. Happy SITS DAY Rachel!!! Off to check out your blog. Have a blessed day! Happy SITS day !! enjoy all your lovely comments !! Congratulations on being the featured blogger. Your story is amazing! Keep pressing on! Congratulations on your SITS day. Thank you for all the information, I went over and visited Cranberry Tea Time. You face your challenges with a beautiful spirit. Your family is precious. The tea recipes sound pretty awesome too. HAPPY SITS DAY! I haven't reached my chocolate threshold yet either. ;) Looking forward to getting to know you. Happy SITS Day! You are such an inspiration. You also have a beautiful family! Happy SITS Day Rachel! What an amazing woman you are :) I am enjoying reading you stories. Enjoy you day! congratulations on your sits day! you are very inspirational....you are a picture of grace. Happy SiTS Day! Glad I found you! Congrats on being the FB tody! Love you sight and your babies:) Happy SITS day! Happy SITS day! I loved reading your blog! The design is beautiful and things are well-organized! I saw you had a link on the sidebar to Sovereign Grace Ministries. My hubby and I were part of SG for years until God moved us away. Our hearts and prayers are still with them! You are such an encouragement. Thank you for sharing your story and for sharing about Jesus! What a beautiful family you have! Congrats on having your SITS day! Happy SITS day! Congratulations on being selected as today's featured blogger :) I'm off to read your posts; just came back from visiting your Cranberry Tea Time blog. Before today I had never heard about dysautonomia; thank you for educating us. You are such an inspiration! God has blessed you indeed. Happy SITS day! I love the idea of "correspondence bankrupcy" and Mommy wanted to tell you you are pretty and look like Pam from The Office. What a charming family you have. great picture. happy SITS day. Off to read more. Happy FB SITS day to you! You have a beautiful family and interesting blog, I'm off to look around! Happy SITS day! Despite your body's weakness, you strike me as a very strong woman! Happy wonderful SITS day to you! You are an inspirational mommy and I love your blog. I am a lurker...but you are among my faves. Enjoy your day of comments and may you find 400 new friends from this! SITS day and your 100th post? Great timing!